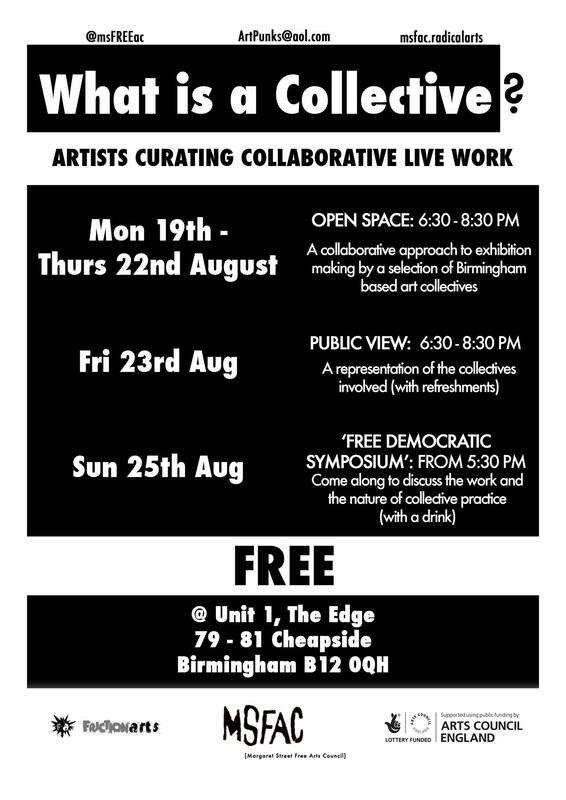 Our curator and possibly some artists that we’ve been working with will be hanging out with MSFAC and various other west-midlands art collectives between Monday the 19th and Sunday the 25th in Digbeth attempting to discover just “What is a Collective?”. We’re not entirely sure what we are going to be up to but it’s probably safe to say that there will be archive material and some kind of performance involved. Stop by and investigate all next week!